HOT41 Skeleton spearman standing on guard. Eight identical models. The figure holds the spear in its right hand and has no other weapon or protection. 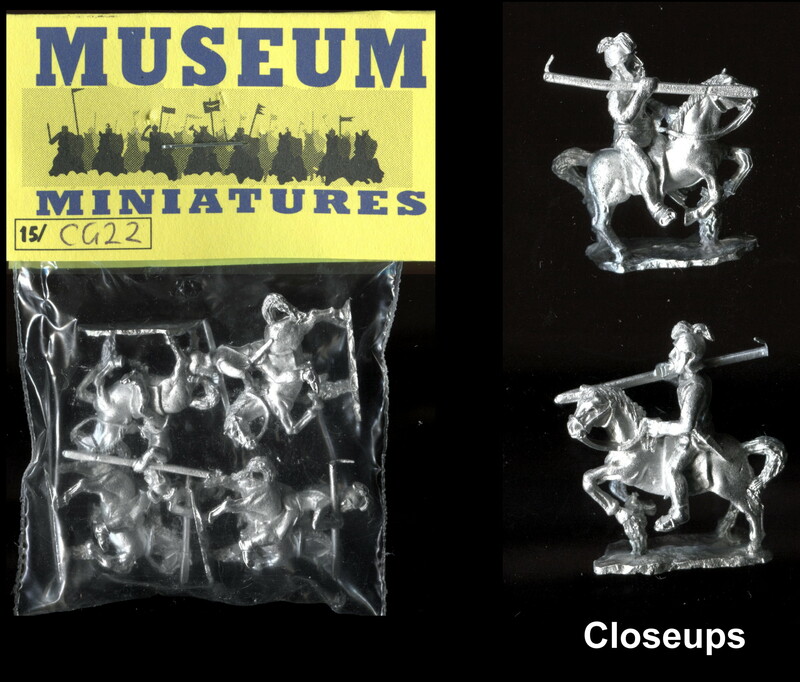 The figure is approximately 18mm tall. 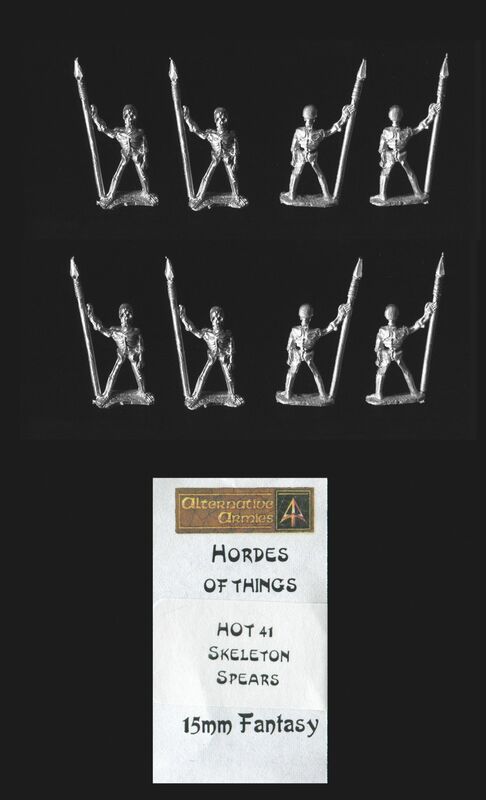 The original pack includes two designs - skeletons advancing with levelled spear and skeletons standing on guard. We have selected the standing figures only in this pack.